Have you seen a River Otter? 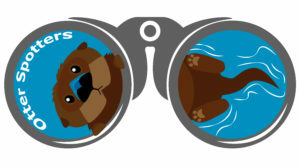 Click here to tell us all about it and contribute to the data of our Otter Spotter project! 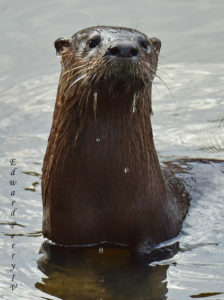 North American river otters are playful, inquisitive animals that live along the shore of the Indian River Lagoon (IRL). A healthy otter population is a signal that the lagoon is doing well and supporting animals that rely on healthy fish, invertebrate animals and seagrass. Otters’ well being can signal if there are environmental changes that could hurt wildlife and humans’ quality of life. Our Florida staff are leaders of a long-term study of bottlenose dolphins in the IRL and our new Otter Spotter project will complement that work by applying a similar approach to river otters. The IRL is the focus of national attention due to the declining health of the ecosystem and die-offs of manatees, dolphins, fish, and pelicans, as well as catastrophic losses of seagrass beds, oysters, and clams. Bottlenose dolphins are especially vulnerable to the effects of changes in prey abundance and distribution, so we expect that river otters may be affected by similar threats because they also rely on healthy fish and invertebrates. Otters may be affected by additional challenges as an animal that lives on land and water. For example, otters may be exposed to diseases that are indicative of negative run-off from human development along the coast. In addition, otters may be struck by cars due to new roads and traffic increases in Florida. By applying our expertise in marine mammal health and stranding response to river otters, we can broaden our IRL research and promote ocean health more effectively.